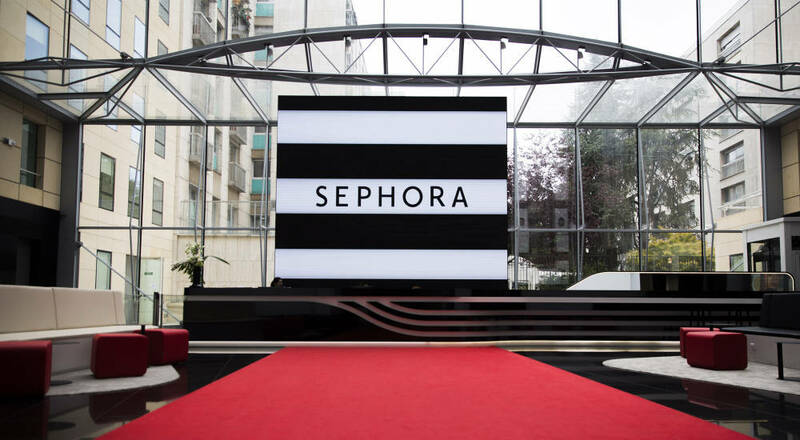 Paris, 2017-Nov-27 — /EPR Retail News/ — With exceptional growth and a presence in 34 countries around the world, Sephora is embarking on an exciting new phase in its development with the inauguration of a new headquarters building in Neuilly-sur-Seine, on the western edge of Paris. This new international hub will support all Sephora activities, with an emphasis on training for team members. Discover a stunning site that embodies the creativity and dynamism synonymous with the Maison. Sephora has left its legacy headquarters in Boulogne-Billancourt and moved to Neuilly-sur-Seine. Located on rue d’Ybry, the new 15,000-square-meter headquarters spans eight levels and will welcome 700 employees. The move gives Sephora an opportunity to reaffirm its distinctive corporate culture with an emphasis on agility. Workspaces are designed to encourage the special creativity that defines Sephora. The Maison has also focused special attention on training and education to continually sharpen the service, fragrance and makeup skills of the brand’s teams. “Our new headquarters is an inspiring place for exchanges and sharing that’s true to the inclusive spirit of Sephora,” says Chris de Lapuente, CEO of Sephora and a member of the LVMH Executive Committee. The building’s central atrium is emblematic of this commitment to collaborative creativity, along with open spaces that encourage colleagues to mingle and nurture cross-cutting approaches to their work. The new headquarters also functions as an innovation accelerator thanks to a 150-square-meter “store lab”, a replica of retail spaces to test new ways to surprise and delight customers before rollout in Sephora stores. This entry was posted in Beauty, Business, Fashion, Management, Retail, Retailer, Shops and tagged Chris de Lapuente, LVMH, Neuilly-sur-Seine, new headquarters, SEPHORA. Bookmark the permalink.